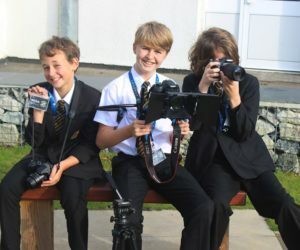 What is an experience at Penrice Academy? Our Extracurricular life is like no other. 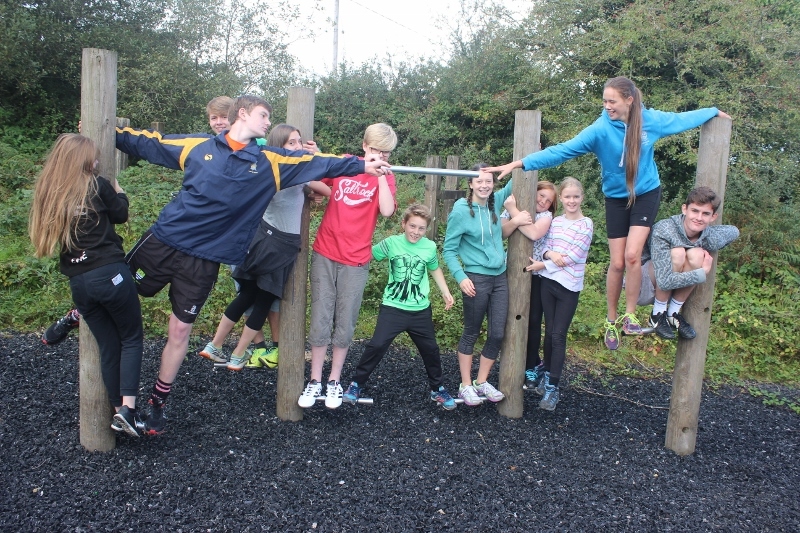 Our Year 7s immerse themselves in choir, creative writing and outdoor learning, as well as a huge range of sports that take place throughout the week. 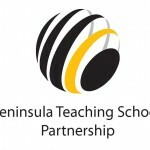 As well as this, every Thursday our teachers run Penrice Plus. 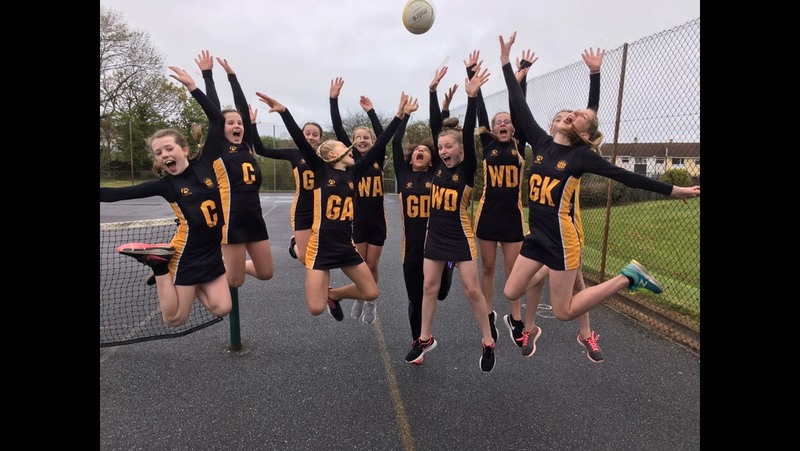 Penrice Plus is an hour every week which sees over half of our students taking part in clubs and activities – everything from Crochet and Gardening to Sport and School of Rock. It’s easy to sign up for, and it’s completely up to you what you do. 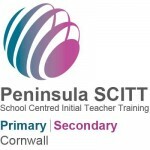 You can read more about Penrice Plus here. 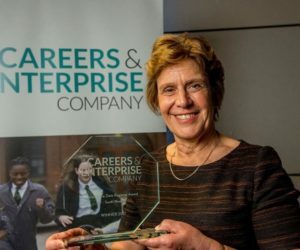 Are you a stage star of the future? Join our Performing Arts family and create and perform in front of hundreds of people in a musical or a play. 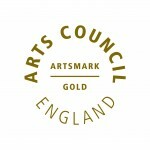 This year our Performing Arts Department put on what has been called the ‘the best production the Academy has every seen’, with Romeo and Juliet. Or join our Musicians and play a fortnightly gig in the sun in our garden, or at a concert in the Hall. In 2016 some of our musicians recorded their own album at St Austell College! Or you may prefer the technical side? Join our Sound and Light Team and you’ll gain real experience of being part of a crew, or work with the Art Department to build sets and props. Are you an artist with food or paint? You may wish to have to Art displayed in our Gallery, or compete in the final of the National Future Chef competition in London, like Madi did. You may be more into media and wish to join the Media Team to take photos and videos, interview staff and students and post your work on our website and Facebook and Twitter pages. You may love media so much that you sign up for BBC School Report, and spend a day reporting on important stories – and you may even be interviewed on BBC Spotlight, like Bella was last year. Or interview a celebrity chef over Twitter, like Sam did. Do you really want to work in TV or radio when you’re older? Last year, Years 7 and 8 filmed a music video in the Rainforest Biome at The Eden Project, with Cel Spellman from CBBC, and were interviewed live on TV! 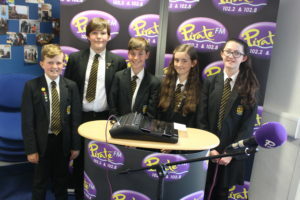 Year 7 featured on BBC Radio Cornwall when they met Harvey the Dog, and Pirate FM when they broadcast live from school. Our students are horse riders, kick boxers, golfers, sailors, dancers and black belts in karate. We support and encourage sport outside of school and love to hear stories of your successes. 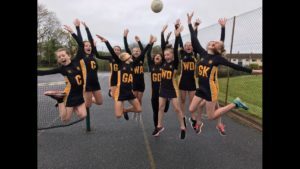 A huge number of our students compete locally, nationally and internationally in well over 40 different sports for Penrice. This year we have won multiple trophies in multiple sports, and our stars are celebrated in assemblies with Sports Colours. 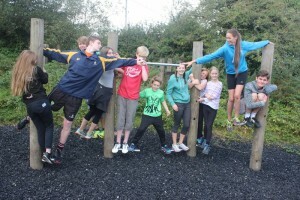 Every year we have the best Sports Day in Cornwall, with every single person at Penrice Academy spending a day on the field, doing everything from track and field events to Cornish Wrestling, archery, mountain biking and assault courses. 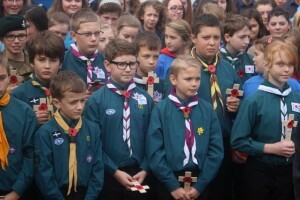 As one of the largest schools in this area of Cornwall we are a big part of the community, and our students frequently get involved – whether it’s a gardening project with the council, making a garden with Eden, bag packing at Tesco, working as a Young Lion like Daisy or helping the elderly at Age UK at St John’s Methodist Church. 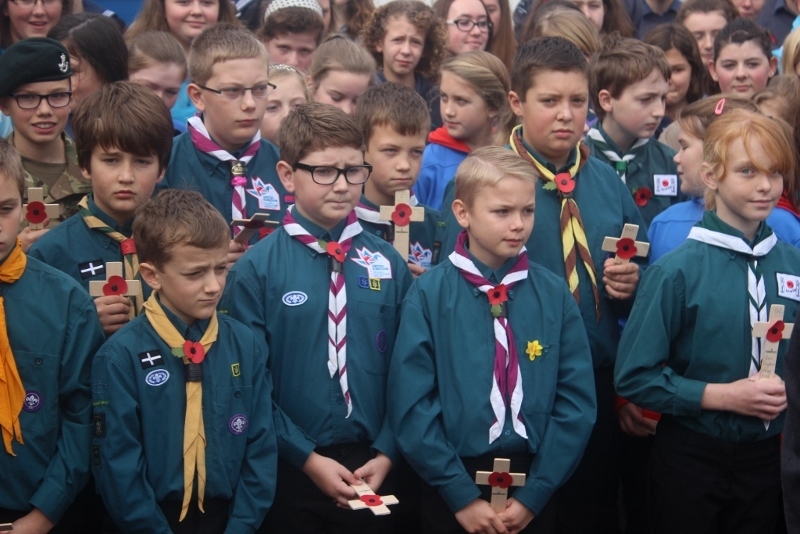 Are you part of an organisation like the scouts, guides or cadets? Every year we hold a Service of Remembrance by our memorial, at which Leah from Year 8 performs the Last Post on her bugle. You are invited to wear your uniform and represent your group with pride. In 2017 our students went global when they raised over £17,000 for children in Sierra Leone. 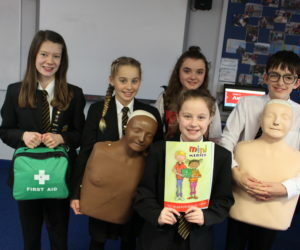 Our Academy Council had one mission; to send a shipping container full of clothes, books, toys and medical equipment to Africa. And they did it. 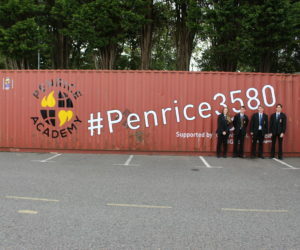 Follow the story on social media using #Penrice3580. We live in undoubtedly one of the most beautiful counties in the UK, so we combine your education with the opportunity to explore your county. We visit Pendennis Castle for history, comb the beaches for Science, zip wire at Porthpean and Lusty Glaze, see the Tin Mines at Geevor and frequently marvel at the wonders of the Rainforest at the Eden Project. We also visit Charlestown Harbour for Geography – which is only a 10 minute walk away. Are you interested in politics and government? 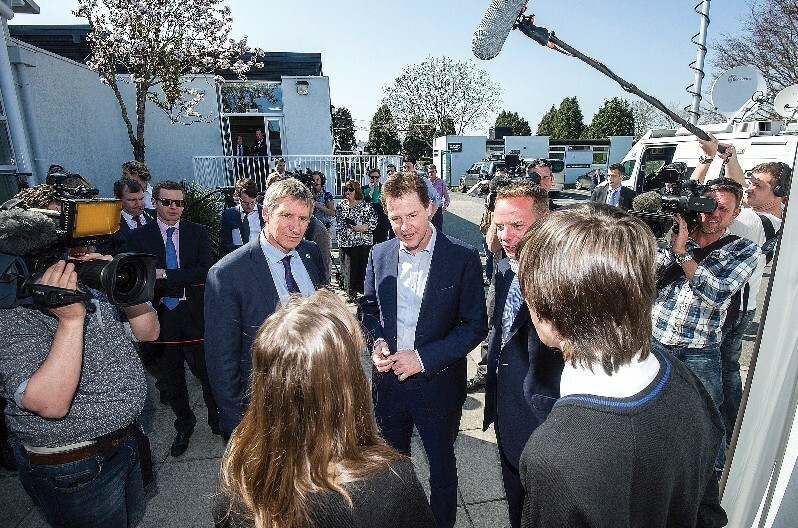 In 2015 Former Deputy Prime Minister Nick Clegg came for the day to see what we’re all about. We ran our own mock elections and even took 5 students to the Houses of Parliament for an exclusive tour behind the scenes. Do you want to make a difference? We work with two charities each year – one local and one international – and change lives around the world. This year we supported Cornwall Air Ambulance, a charity close to the hearts of our community. Do you like travel and adventure? 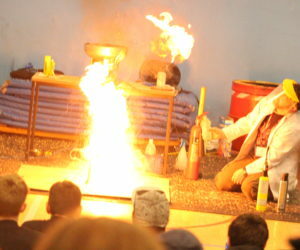 Then you’ll take part in our annual Curriculum Enrichment Week in July, and see Spain, France, or the lights of London. If you fancy staying in Cornwall then you’ll be exploring our gorgeous coast for Kernow Week, delving more into Science for Science Week, catching waves for Surfs Up Week or even making your very own garden at school. 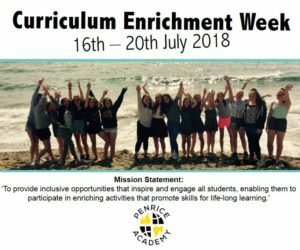 Read all about Curriculum Enrichment Week 2018 here. Do you like a challenge? Each year we run the Duke of Edinburgh Award and we submit teams for Ten Tors – last year’s year we entered three teams! Our Prefect Team is an important part of the Penrice experience. 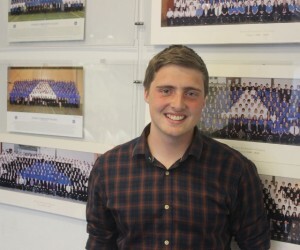 As a Prefect you will mentor younger students, share your experiences and advice, assist at events, represent your school in the community and wear your blue tie with pride. As a Senior Prefect you will be an active member of the Penrice Community and may even represent your school on TV, like Gabe did. Being a Prefect is a prestigious role that provides you with life experience for the next steps. Our Academy Council (pictured right) made up of two students from each Year, gives our students a voice. 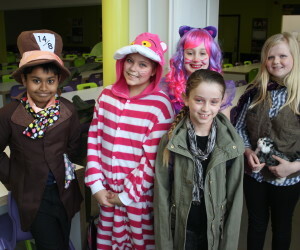 They represent their year groups, bring any problems or questions their peers might have, and lead our charity work. The last two Councils have also been in charge of creating a garden within the school, with 2017’s team taking ownership of the design of the school’s new central garden and outside eatery. You could also be part of our Yearbook Council, our Ball Committee or as our our Beach Bay Stars with Team PE – all with important roles to play in the school community, whatever your passion. Our Learning Support Team at Penrice is outstanding. 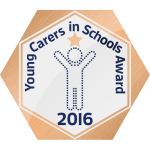 Our Student & Family Centre exists to help anyone and everyone and we have a team of Young Carers, who we are so proud of. 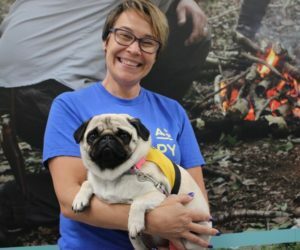 Bailey the School Dog is a calm and friendly ear and we have a Therapy Dog in Bella the Pug, both adding much celebrated unconditional canine love to anyone who needs them. At Penrice Academy we get results. In August 2017 our Year 11s achieved truly inspirational results. Our curriculum is exciting, varied and challenging, and Year 8 Options give you an early chance to decide on your educational path. Our Leavers Ball gives our Year 11s the opportunity to celebrate their time at school and leave on a high, with our highly coveted event at Atlantic Hotel, Newquay. From your first days at Penrice we know we are shaping your future, so throughout your time with us we want you to explore every avenue possible at every step. 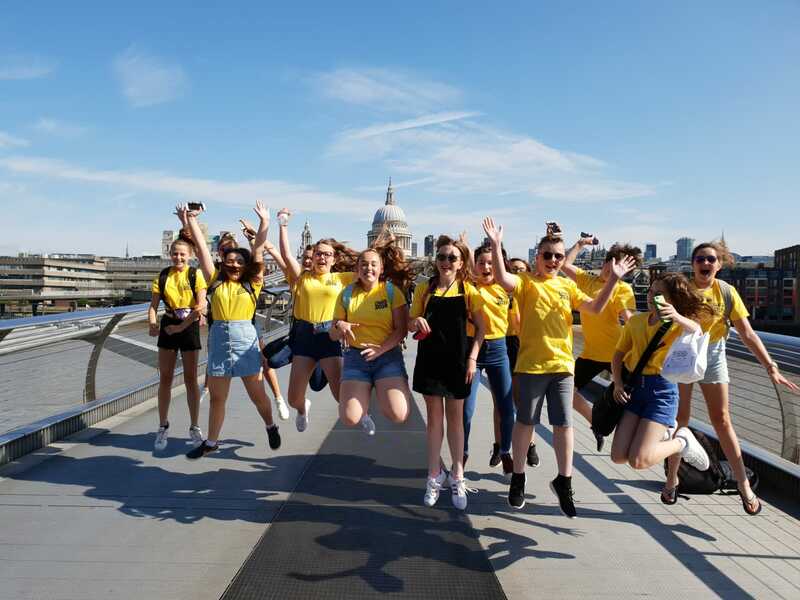 Our Year 8 Go For it Day, Careers Weeks, Apprenticeship Weeks, visits to colleges and universities and our big Work Experience programme will help you to plan life beyond school. This year we will learn, laugh, run, compete, write, act, sing, dance, create, observe, apply, help, inspire and succeed. And we can’t wait for you to join us.